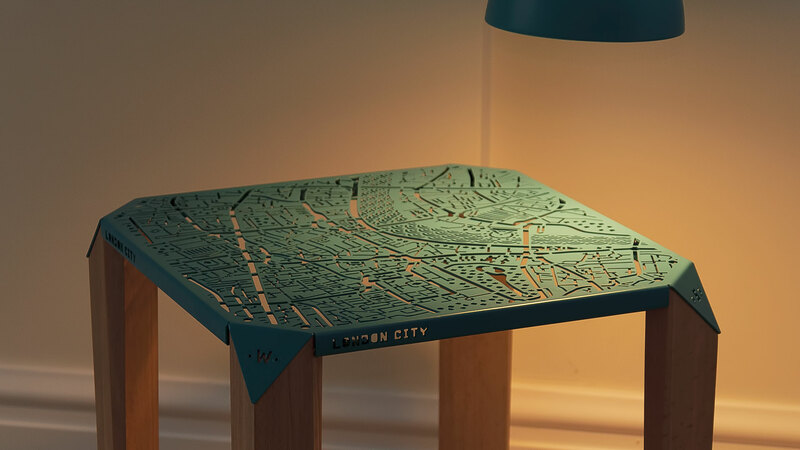 Map on Table is a project, currently being crowdfunded on Kickstarter by Hasan Agar, to machine-cut a bespoke, ornate metallic map of central London, apply a colour finish and mount it on four legs to create a small table. The table corners have markers showing the cardinal directions on them. A rendering of Agar’s map, with additional waymark names added – not on the physical product, can be seen below. 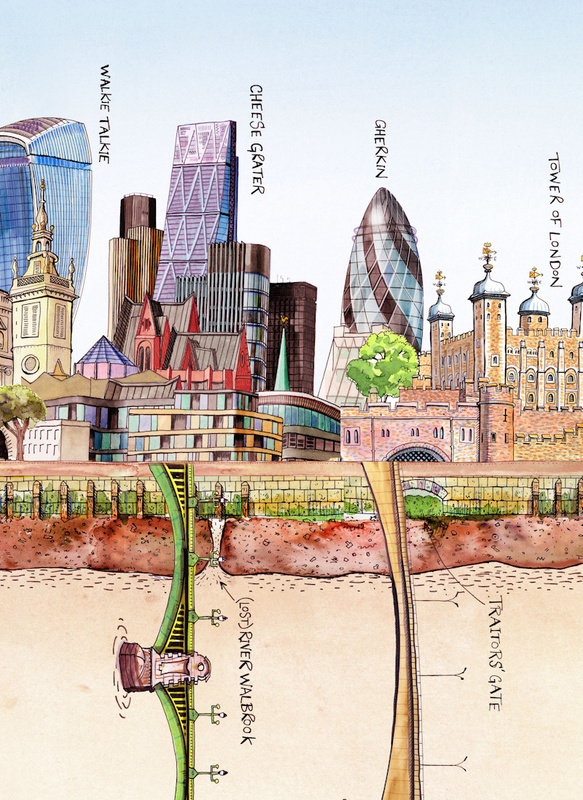 We really like the way the road network is carefully reproduced, the wave detailing for the the River Thames, and little tree shapes representing the extents of central London parks. If you look more carefully, more and more careful detail appears. 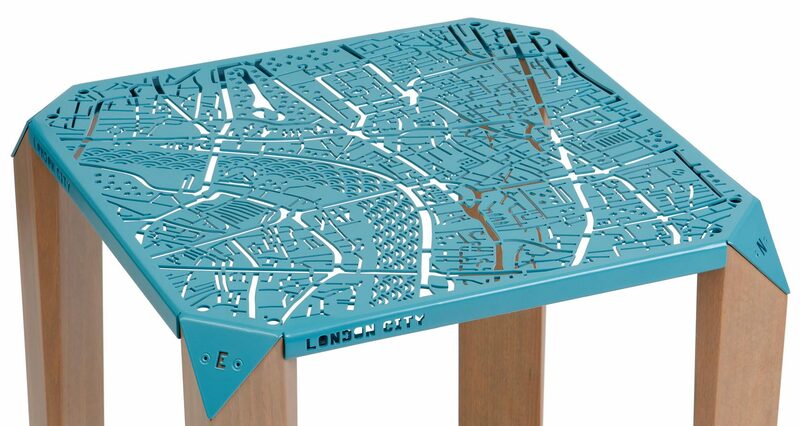 The cuts in the metal form the roads, allowing the network to “shine through” the table surface. 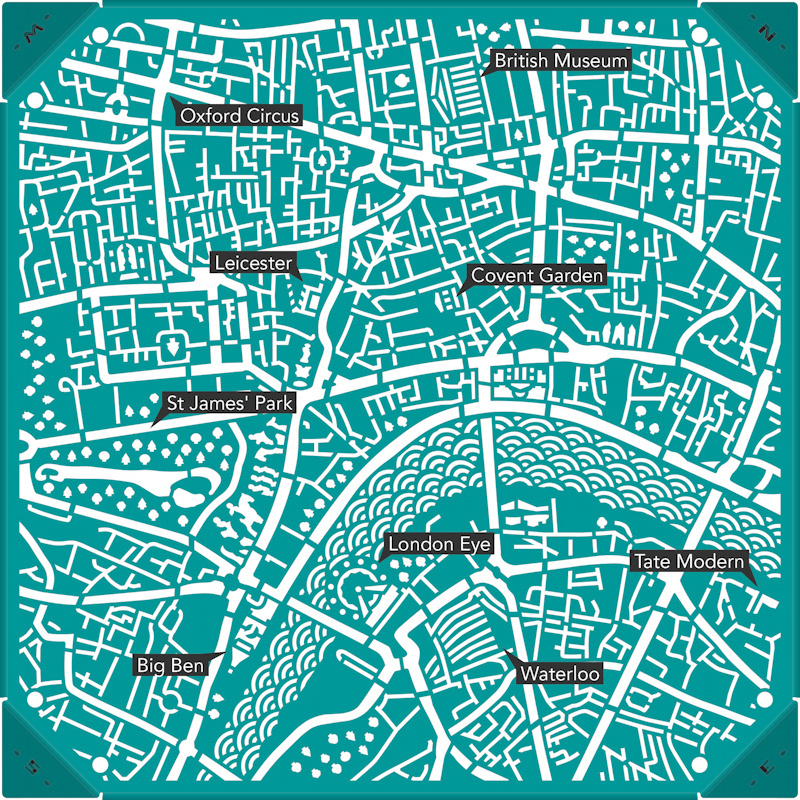 Certain key buildings are shown symbolically. 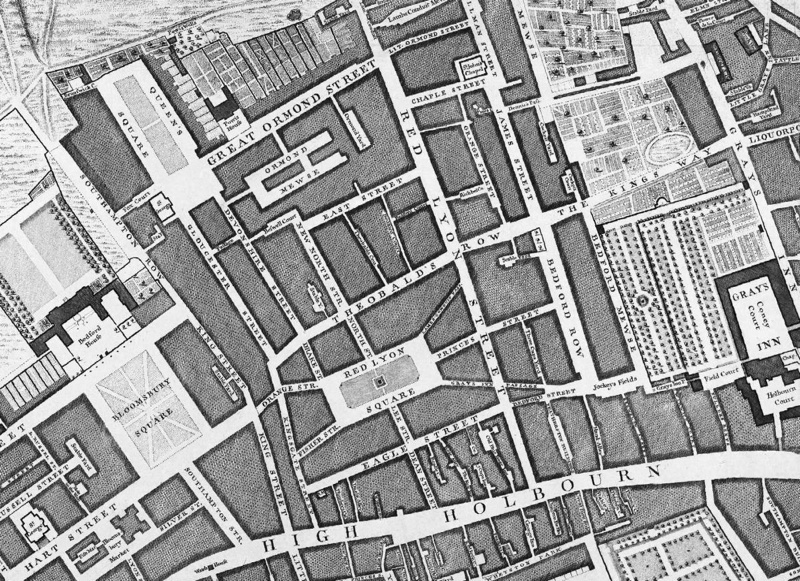 The British Museum’s famous front portico is drawn, as is the market building in Covent Garden. Horses and guards are shown beside Whitehall, and Leicester Square has a film director’s clapperboard. 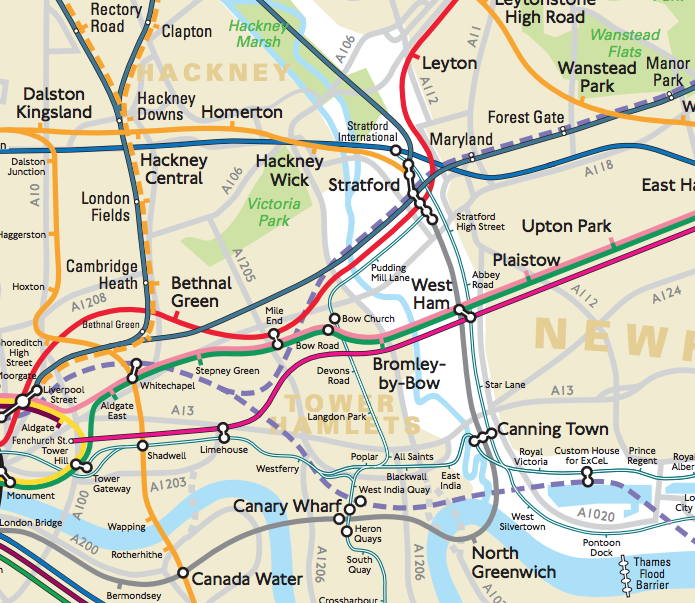 Overall, it’s a lovely map, beautifully designed, and looks fantastic when machined in metal. It’s almost too nice to place anything on the table itself. 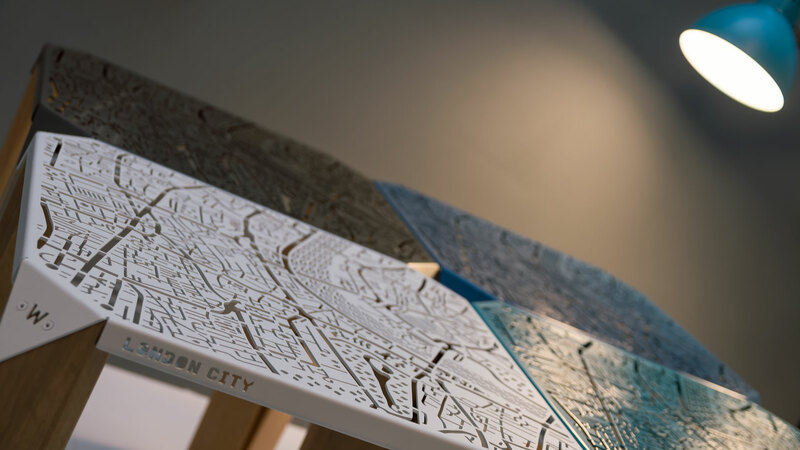 You can see the prototype tables in all their cartographical glory in this promotional video, and you can join the Kickstarter here. There is also a New York City version. All photos courtesy of Hasan Agar. 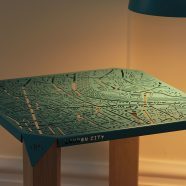 Where would I be able to buy one of these tables? Click on the Map on Table link above and it takes you to the manufacturer’s website.